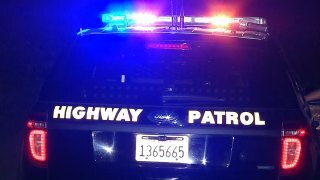 A man is dead after a shooting occurred on state Highway 4 in Antioch Saturday night, according to the California Highway Patrol. At 9:03 p.m., a shooting occurred on eastbound Highway 4 just west of Hillcrest Avenue, CHP officials said. When CHP officers arrived at the Hillcrest Avenue off-ramp, they found a blue Toyota Solara. Inside the vehicle was a man who had been shot, and then died at the scene. The suspect vehicle fled the scene, CHP officials said. CHP officials closed all eastbound lanes, but they have since reopened. The incident is currently under investigation. Anyone with information is asked to call 1-800-835-5247.